As Founder and CEO of Cascadance, Inc., Janet Crawford, has over 20 years of experience working with executives in Fortune 500 companies and high potential start-ups. Combining traditional leadership development and coaching with cutting-edge insights from neuroscience and psychological science, she primes leaders and organizations for productivity, innovation and collaboration in the 21st Century. A thought leader on the science of bias and belonging, she works across the technology and entertainment industries to help companies leverage the power of diversity through building cultures of inclusion. Janet is expert at identifying the key changes in leadership behavior and corporate culture that lead to cascading positive movement throughout organizations. Her vision is a world where innovation, engagement, health, caring and accountability are common denominators in business. As female scientist and twenty year veteran of Silicon Valley, Janet currently focusses on addressing the hidden neural barriers to diversity and inclusion in technology and business leadership. From keynote speaking and training, to organization-wide culture change, she brings a fresh and effective approach to creating lasting positive change. A polished public speaker, Janet has presented extensively on neuroscience-informed leadership and its relevance for generating corporate cultures designed to adeptly respond to modern business challenges. Known for her engaging style, she possesses a rare ability to translate complex scientific ideas into accessible, thought-provoking and immediately useful practices. Her client list includes Pixar Animation Studios, Adobe Systems, Abbott Vascular, Amyris Technologies, BioMarin, Cisco Systems, Intel Corporation, Yahoo! Inc., Oracle Corporation, Flextronics, National Semiconductor, Network Appliance, Ricoh Silicon Valley, BD Biosciences, Hewlett Packard, Scios Inc. (J&J subsidiary), Sun Microsystems, THX, Wells Fargo, Rheem Manufacturing, Virgin America Walt Disney Imagineering and Stanford University. Prior to embarking on her current career, Janet spent a decade as an environmental scientist and leader in technical environments. 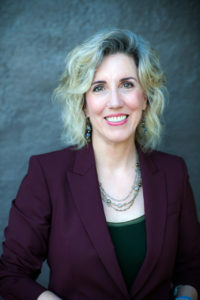 She holds a Masters from Stanford University and a BA from UC Berkeley, as well as Master Practitioner Certification in Neuro-linguistic Programming. She is former adjunct faculty at the JFK University Graduate School of Psychology.